I found yoga after suffering from years of chronic back pain and numerous spinal problems for which I underwent major back surgery. Initially I came across the Yoga breathing techniques, called Pranayama, which helped me cope with my debilitating back problems and the chronic pain. I eventually plucked up the courage to try a yoga class which was recommended by my back surgeon and I have not looked back since! Through yoga I have found a new lease of life; it gave me back my strength, flexibility and improved my general physical condition. After practicing for 5 years I decided to travel to India, the source of yoga, to do my teacher training, for which I studied with YogaCharya Bharath Shetty in Mysore, India. 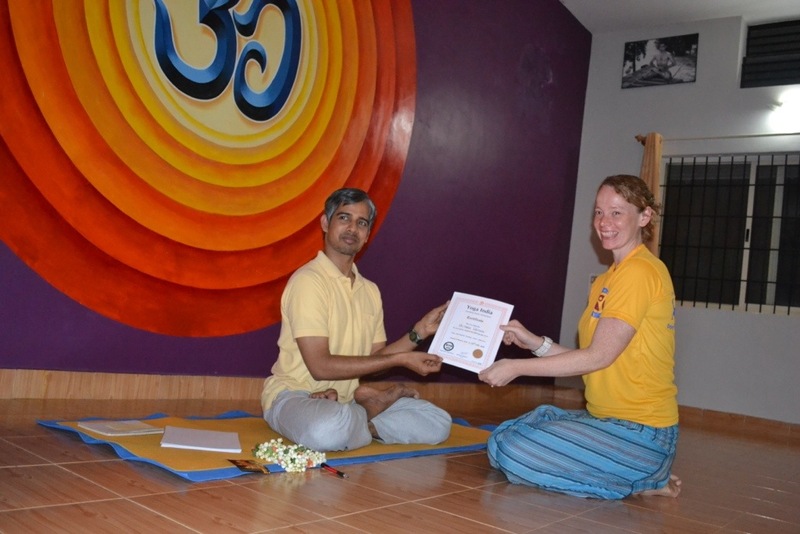 I am now a 500 hour Yoga Alliance Certified Yoga Teacher. Everyday I learn something new and benefit from my own yoga practice, and from teaching yoga I wish is to educate students on the benefits of yoga, so they can safely practice yoga too. I hope to pass on this knowledge so they may also fall in love with this ancient practice as much as I have done.